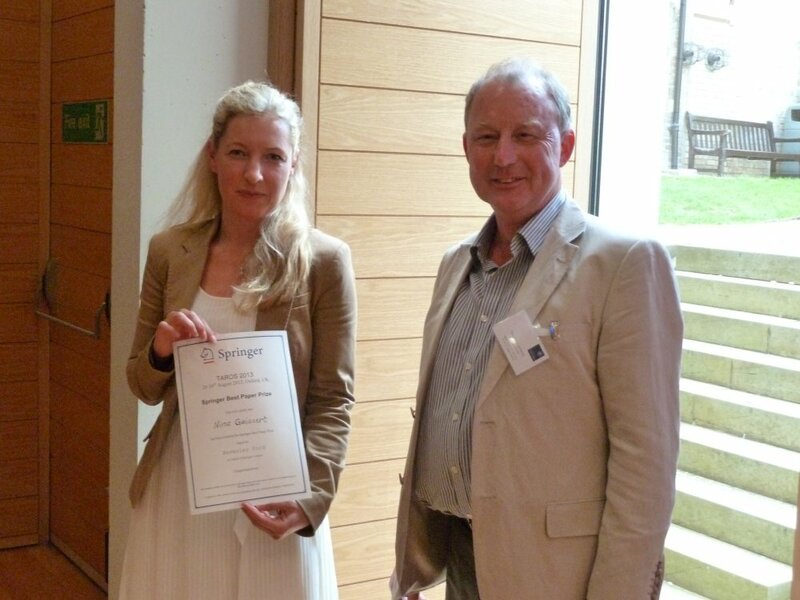 Congratulations to the winners of the Springer Best Paper Award and the Nehmzow Best Student Paper Award! awarded to Inventing a Micro Aerial Vehicle inspired by the mechanics of dragonfly flight by Nina Gaissert, Rainer Mugrauer, Günter Mugrauer, Agalya Jebens, Kristof Jebens, and Elias Maria Knubben. 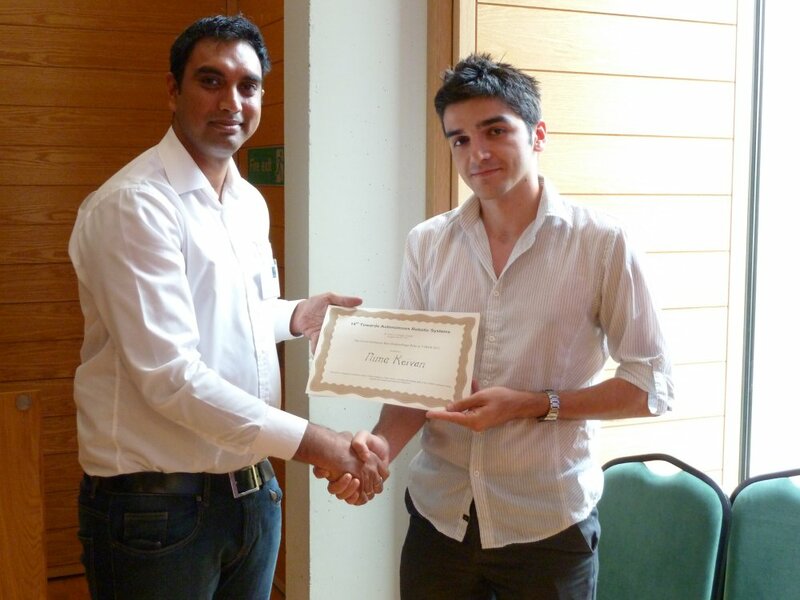 awarded to Realtime Simulation-in-the-loop Control for Agile Ground Vehicles by Nima Keivan and Gabe Sibley.